Datong is known as the “City of Coal” and, due to its status as a major coal-mining region, it has managed to garner an unfortunate reputation as one of the most polluted cities in the country. Yet, much like Beijing, hidden behind the smog are wondrous historical treasures unmatched throughout China. The city lies at the northernmost point of Shanxi province and, thanks to various environmental measures and a burgeoning tourist trade, the smoke appears to be clearing and revealing some of the finest sights the country has to offer. 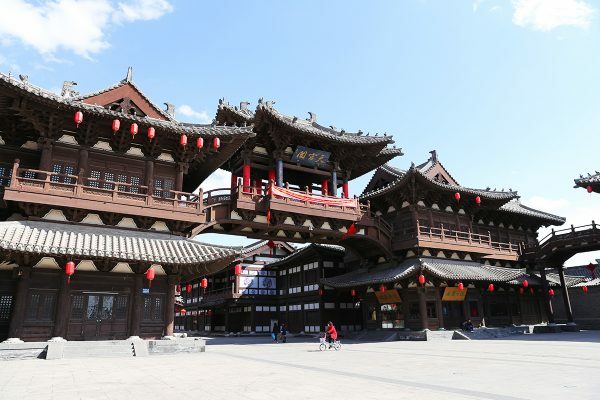 The town was first founded under the name Pingcheng in 200 BC, during the Han Dynasty (206 BC–220 AD), and its location near the Yanmenguan Pass of the Great Wall meant that it flourished as a trade port between northern China and Inner Mongolia. Unfortunately, the town was sacked towards the end of the dynasty and was largely left until it became the capital of the Northern Wei Dynasty (386-534 AD) around about the year 398. It was from this capital that the Wei court oversaw the construction of the magnificent Yungang Grottoes. In 1048 the city was renamed Datong and became the western capital of the Jurchen Jin Dynasty (1115–1234) but was tragically sacked by the Mongols during its fall. This rather unlucky city would be sacked yet again in 1649, during the Ming Dynasty (1368-1644), before being promptly rebuilt in 1652. After being destroyed three times, it’s a small wonder Datong has any buildings left! Within the city itself, the Nine Dragon Screen, Huayan Temple, and Shanhua Temple are the three main places of interest. The 600-year-old screen, resplendent with glazed dragons of vibrant colours, is the oldest and largest of its kind. It was built during the Ming Dynasty and is over 45 metres (149 ft.) long with over 400 specially-fired glazed bricks making up its sparkling surface. After all, if you can’t have real dragons, make beautiful fake ones! On the southwest side of the city, the Huayan Temple houses five large statues of Buddha and over 18,000 volumes of Buddhist scripture. It was built during the Liao Dynasty (907-1125) according to the Huayan branch of Buddhism and is the largest Liao temple in existence. It is unique in that it’s the only temple of its kind to face east instead of south. During the Ming Dynasty, it underwent large scale renovations and has thus remained well-preserved to this day. After all, every good celebrity needs a little face lift once and a while! The Shanhua Temple, which was founded during the Tang Dynasty (618-907), has also undergone several repairs. Thanks to these renovations, the Daxiongbao Hall, the largest of its kind in China, has managed to remain well-preserved since it was built during the Liao Dynasty. Evidently Datong’s ancient buildings have found the elixir of youth, and its all thanks to a little plaster and some TLC! Yet some of the most spectacular sights can be found just beyond Datong’s borders. About 16 kilometres (10 mi) west of the city, the Yungang Grottoes have weathered the sandstorms for over 1,500 years. This collection of over 51,000 statues of Buddha has long been inducted as a World Heritage Site by UNESCO and is truly a testament to the industrious nature of the ancient Chinese people. In the lush scenery surrounding Mount Hengshan, just 60 kilometres (37 mi) southeast of Datong, you’ll find the Hanging Temple embedded deep into the cliff-face. This stunning monastery has clung to the side of the mountain for over 1,500 years and is one of the only houses of worship to acknowledge more than one religion. If the Hanging Temple represents ancient China’s religious tolerance, then the nearby Yanmenguan Pass, one of the most important gatehouses along the Great Wall, is a subtle reminder of the darker, bloodier side of its past. 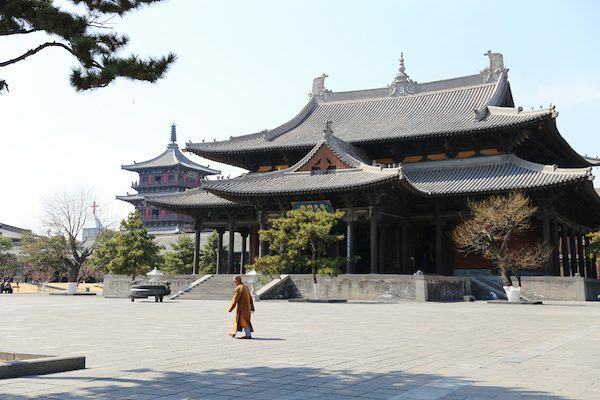 In Yingxian County, about 70 kilometres (43 mi) south of Datong, the Pagoda of Fogong Temple looms over the surrounding countryside and is the largest and oldest wooden building in China. It is over 67 metres (220 ft.) tall and over 950 years old, making it over twice size of Buckingham Palace and three times as old! It goes without saying that this pagoda is a no-smoking area; if you accidentally burnt it down, I don’t think your travel insurance would cover the cost! Jurchen Jin Dynasty (1115-1234): Led by the Jurchen clan, who were of Manchu descent and controlled most of northern China but were ultimately defeated by the rising Mongol Empire. Not to be confused with the imperial Jin Dynasty (265-420). Datong is one of the many wonderful stops on our Cultural Tour in Shanxi.